Looking to de-stress and yoga just doesn’t seem to do the trick? Maybe it’s time to take up close quarter combat (CQB) – a fancier name for war games. 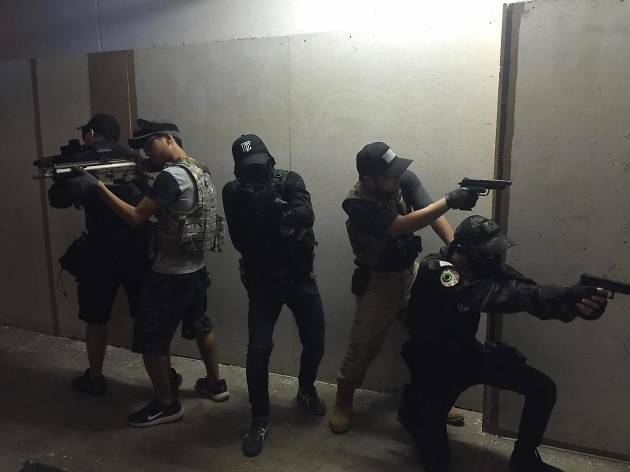 Boasting a 6,000 sq ft space and three themed areas, CQB Studio is designed to look like a special forces Killing House – where military personal training exercises take place – with a dozen rooms, corridors and dark alleyways to freely run around, hide, chase and shoot down frenemies. 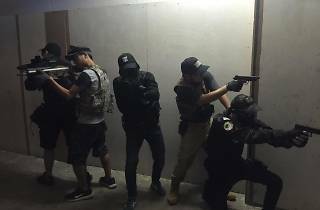 You can rent everything from automatic M4 tactical shotguns to semi-automatic pistols at this indoor war game site.